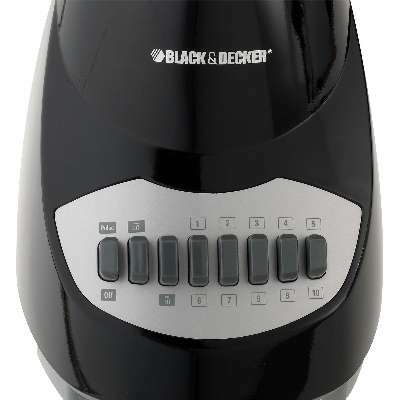 The BLACK+DECKER 10-Speed Blender is a kitchen classic. With 10 speeds and a pulse control, operation is simple and efficient. The lightweight plastic 5-cup (40-oz.) jar is easy to pour from and holds several servings of your favorite soups, smoothies, and more! Plus, cleanup is a breeze thanks to the dishwasher-safe removable parts. Lightweight 5-Cup Jar- The plastic 6-cup (48-oz.) jar is easy to handle with a PerfectPour™ spout that eliminates drips and spills.